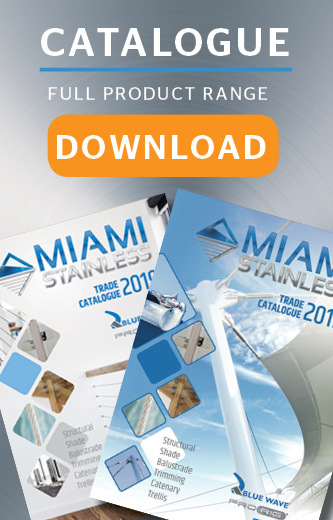 Miami Stainless stocks a range of high-quality AISI 316 marine grade stainless steel glass fittings, glass clamps, and accessories suitable for frameless glass balustrade systems and pool fencing. 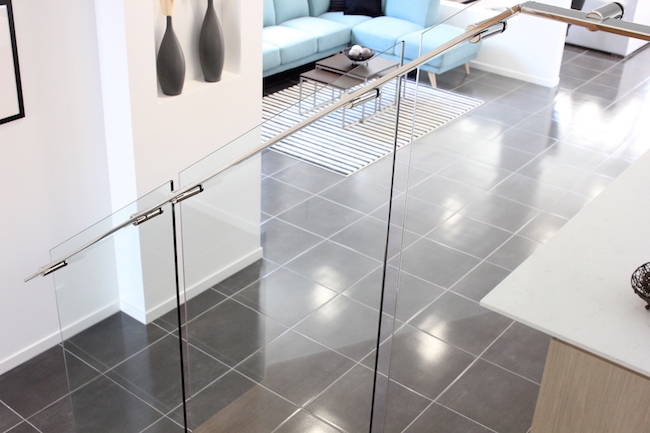 All glass balustrade fittings and accessories come specifically designed for standard 2" (50mm) tube in either mirror polish or matte satin finish. All ProRail Glass Clamps come with a full set of rubber inlays to suit each glass thickness. Article: Are stainless steel and chrome the same thing? 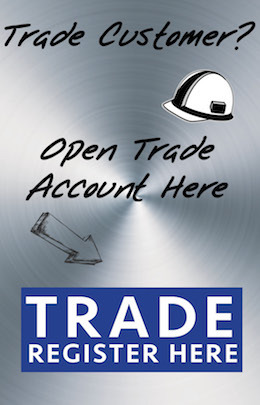 Core Drilled Square Duplex 2205 Miami Stainless Core Drilled Spigots are high quality Duplex 220.. Pool Spigot Deck Mounted Clamp Duplex 2205 Miami Stainless Square Deck Mounted Spigots are high ..
Model 30 D Shape suits 6-12mm Glass Flat Back Mirror Polish ProRail AISI 316 Miami Stainless ran..
Model 30 D Shape suits 6-12mm Glass Flat Back Satin Finish ProRail AISI 316 Miami Stainless rang..
Model 30 D Shape suits 6-12mm Glass Round Back Satin Finish ProRail AISI 316 Miami Stainless ran..
Model 40 Square Shape suits 6-10mm Glass Flat Back Mirror Polish ProRail AISI 316 Miami Stainles..
Model 40 Square Shape suits 6-10mm Glass Flat Back Satin Finish ProRail AISI 316 Miami Stainless..
Model 40 Square Shape suits 6-10mm Glass Round Back Mirror Polish ProRail AISI 316 Miami Stainle..
Model 40 Square Shape suits 6-10mm Glass Round Back Satin Finish ProRail AISI 316 Miami Stainles..
Model 50 Large Square Shape suits 8-12mm Glass Flat Back Satin Finish ProRail AISI 316 Miami Sta..
Model 50 Large Square Shape suits 8-12mm Glass Round Back Mirror Polish ProRail AISI 316 Miami S..
Model 50 Large Square Shape suits 8-12mm Glass Round Back Satin Finish ProRail AISI 316 Miami St..